Every year, the Riksdag makes hundreds of decisions. The 15 parliamentary committees play a crucial role in the decision-making process. It is here that the members of the Riksdag prepare the decisions. 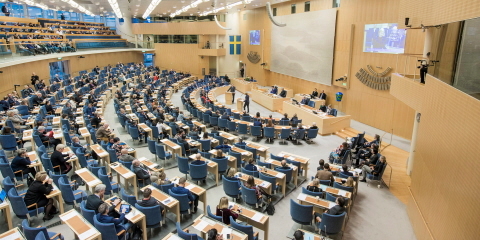 After a committee has presented its proposal for a decision, the 349 members of the Riksdag adopt a position on the proposal. Each parliamentary committee is made up of 17 members of the Riksdag. Their composition reflects the relative party strengths in the Riksdag. The largest party in the Riksdag also has the most members in each committee. The members of the Riksdag spend a great deal of time working in their committees. Each committee is responsible for policy areas: issues relating to defence are for example assigned to the Committee on Defence, while healthcare issues are dealt with by the Committee on Health and Welfare. When the Government submits a government bill to the Riksdag, it is first referred to a parliamentary committee. 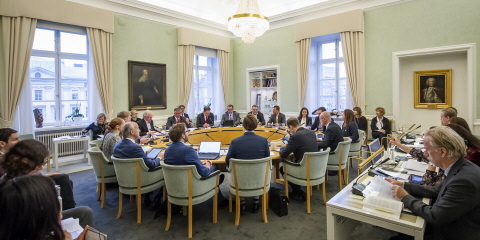 The committee adopts a position on the Government's proposals, before it is time for the 349 members of the Riksdag to make a final decision in the Chamber.